James is coming to visit me in a couple of weeks and I like to use his visits as an excuse to bake. I always think "finally, I'll have someone to eat the product other than myself" and avoid the dangers of living and baking alone. I asked what baked good he craves most, that I haven't made yet, and he said oatmeal cookies...something dense and chewy. 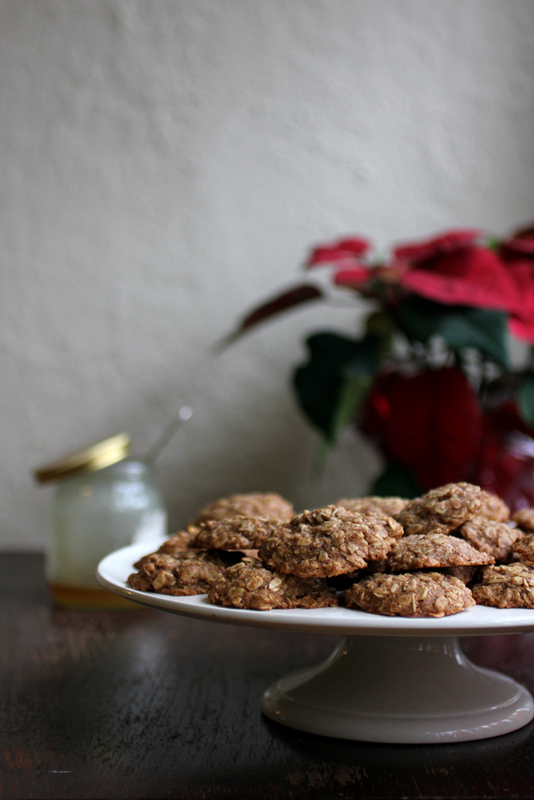 None of the oatmeal cookie recipes I had bookmarked seemed...right, so I decided it would be fun to try and adapt my own. 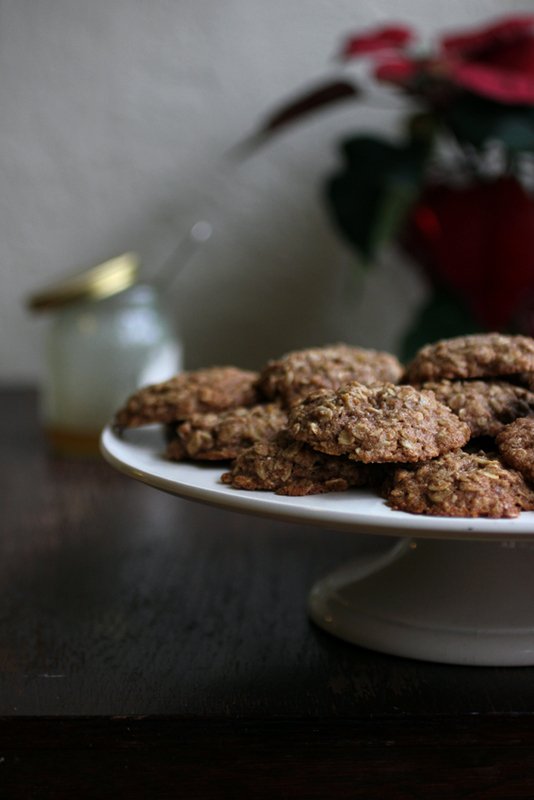 I chose this Chewy Oatmeal Cookie Recipe as my inspiration because, compared to others, it had the least amount of sugar to deal with. However, I also had James' lactose-intolerant to consider, so I replaced the butter and followed a few of his requests. These cookies have crispy edges, and a soft center. They're chewy and lemony (my favourite characteristic), but not very heavy or rich...the kind of cookie where you eat the whole batch in one day. 1. In a large mixing bowl, cream coconut oil and honey. Mix in egg and vanilla until combined. 2. In another bowl, whisk together flours, oats, baking soda, salt, spices and zest. 3. Add dry to wet and mix until combined. 4. At this point you can refrigerate the dough for a thicker cookie, or scoop and bake immediately—I lean towards the quicker option. Either way, gently flatten each cookie scoop and bake at 325 for about 10 minutes. I love oatmeal cookies! I am interested to try making them with your recipe.